The AMAZING ALOE VERA not only nourishes the body from within – aiding digestion, providing beneficial nutrients and boosting immune function – but it can be used topically to enhance the health and beauty of your face, skin, hair and more. Using a sharp knife slice away the thorny edge from one side of each leaf. Then slice the leaves open lengthwise so you have two long halves. Set the halves on your cutting surface, gel side up. Use a spoon to scrape the gel away from each leaf and into a container. Refrigerate any unused portion. 2. Moisturizes - It softens the skin without clogging pores. 4. Fights Ageing - increases the body’s production of collagen and improves skin elasticity. 5. Reduces Acne - Its antibacterial, antiseptic and anti-inflammatory properties protect the skin from bacteria and other pathogens which lead to infection and inflammation. 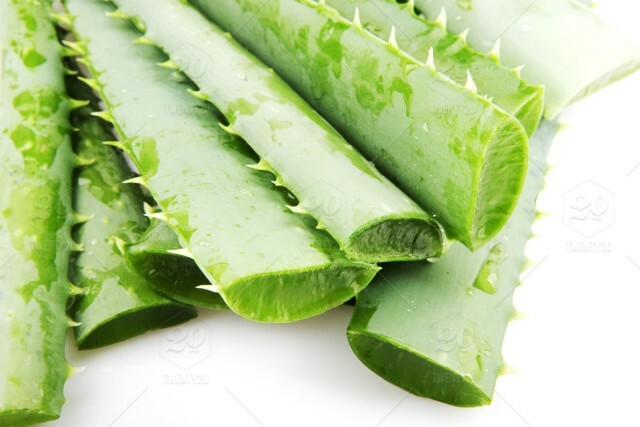 It contains substances that stimulate the growth of new cells and educe the inflammation and redness.As an astringent, Aloe Vera reduces pore size, which helps keep out excess sebum, dirt, and microbes. 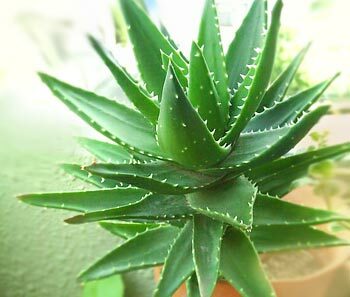 Important in Ayurvedic medicine, Aloe is also used to treat psoriasis and eczema. 6. Lightens Blemishes and Skin tone - Because of its abilities to speeds up skin cell reproduction, fight inflammation and reduce redness, Aloe Vera is a natural treatment for lightening blemishes, skin color / tone and stretch marks. Add some lemon juice, to help lighten age spots and marks. 1. Promotes healthy hair growth and regrowth. 3. Conditioning - Mix it with a mashed banana and use as a hair pack for beautiful, nourished hair. 1. Homemade Moisturiser - To make this, you’ll need Aloe Vera gel, sweet almond oil, jojoba oil, beeswax, and your favorite essential oils. 2.Mask to combat Acne – a soothing and healing mask with honey’s antibacterial properties and Aloe Vera’s anti-inflammatory properties to reduce redness, pain, swelling and itching. 3. Mask for Dry Skin – this mask will alleviate the dryness and tightness around your face and hairline. Just add cucumber and aloe into a blender, blend and apply to your skin for 30 minutes. Should You Buy Commercially Available Gel ? Aloe Vera is a very delicate gel. Its properties and benefits are best procured from the Fresh Leaf. No commercially available gel or liquid will be as beneficial or effective. Get yourself a potted plant. It requires very little maintenance, only few hours of sun a day and watering on alternate days.